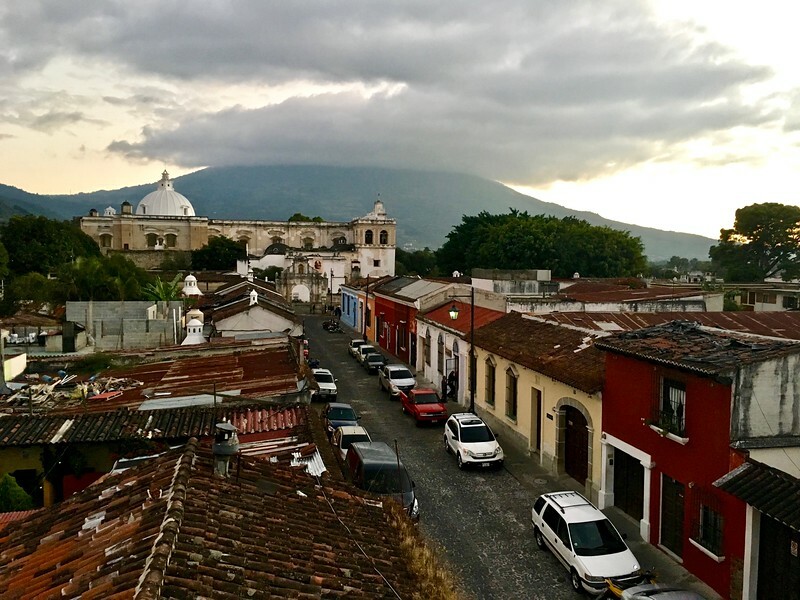 Guatemala is a country that is worth visiting time and time again, as I’ve discovered. Based on my most recent trip, I compiled the best things to do in Antigua, a city that offers opportunities for both relaxation and adventure, as well as numerous historical and cultural experiences that can give you a deeper understanding of and appreciation for the country and its culture. Because my “bucket list” is quite a long one, I rarely visit the same destination twice. Instead, I prefer to spend my limited budget and time exploring new places. 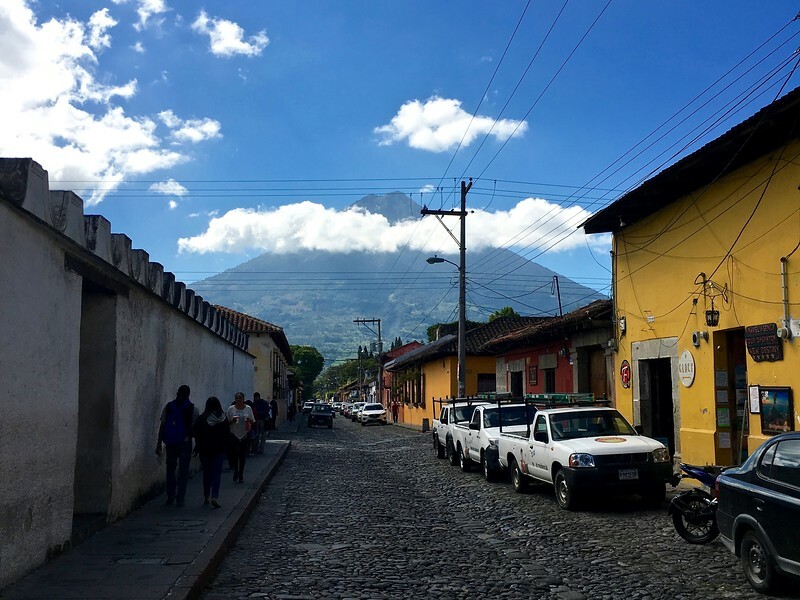 I was excited, though, when Ryan of GoodTrip Tours offered me the opportunity to travel again to Antigua, Guatemala, a colorful 500-year-old colonial city in the central highlands less than an hour from Guatemala City. My last trip there – 11 years ago – remains one of my most memorable vacations. My friend and I stayed in a lovely resort on the outskirts of town (thanks to her mom’s timeshare), hung out at coffee shops and bars, lounged by the pool in the afternoons, and took day trips to nearby attractions. GoodTrip Tours is a socially responsible tour operator, so the goal of this trip was to really experience the local culture and make meaningful connections with people and communities. 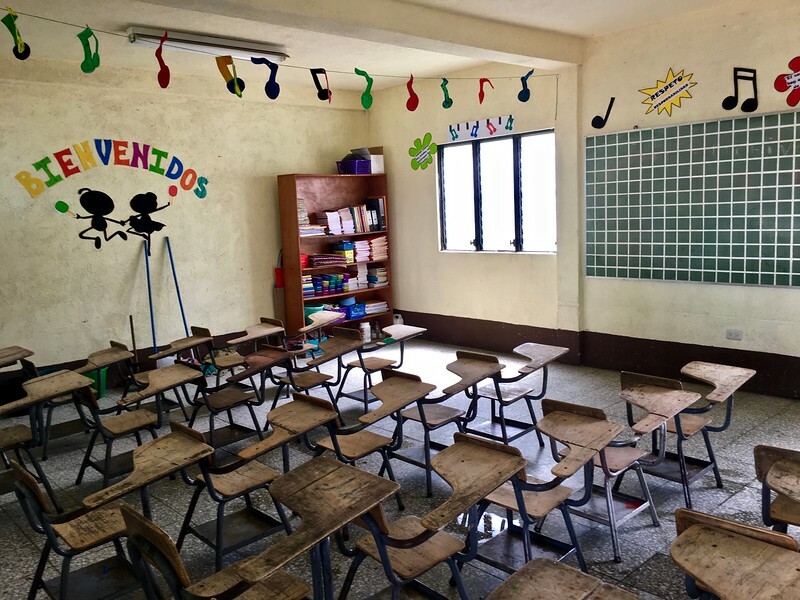 We spent a lot time with GoodTrip’s partner Cambio NDG, a social enterprise that supports Ninos de Guatemala (NDG), a Dutch/Guatemalan nonprofit that educates more than 500 children in three high-quality schools. Our trip coincided by NDG’s 10th anniversary, so we got to celebrate with the organization’s’ board members and supporters, and attend the secondary school’s graduation ceremony. Cambio NDG offers a host of activities, day trips, multi-day tours, and accommodations for individuals, families and groups that all benefit NDG, so not only can you have unique, memorable experiences, you also can feel good that your tourist dollars are making a real impact in the lives of local children and families. Based on the itinerary that NDG put together for me, here are my recommendations of the best things to in Antigua that have a sustainable focus. 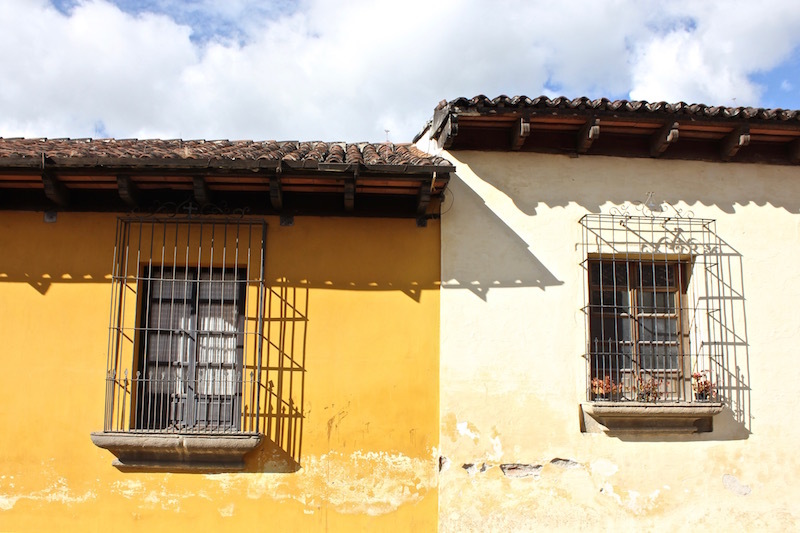 The entire city is a UNESCO World Heritage site, and you can examples of perfectly preserved Spanish Baroque-influenced architecture as well as ruins of buildings that haven’t held up to earthquakes and the effects of time. The morning of our tour was hot and humid, so we took our time taking in sites like the Parque Central and Iglesia de La Mercedas as Christian filled us in on the city’s rich history. One of my favorite stops was the market, which is across from the West Street Bus Station. The indoor hall is a maze of stalls selling fruits, vegetables, spices, meat, clothing, household goods, and just about everything else you can think of. I picked up a Guatemalan football jersey for my nephew and some dried chillies for my dad. Outside there’s a craft market, where you can find all sorts of textiles for sale. Tip: If you’re going to do a lot of walking around Antigua, be sure to wear sandals or sneakers with good support, since Antigua’s cobblestone streets can be tough on your feet. And don’t forget sunscreen and water, since Antigua sits about 5,000 feet above sea level. 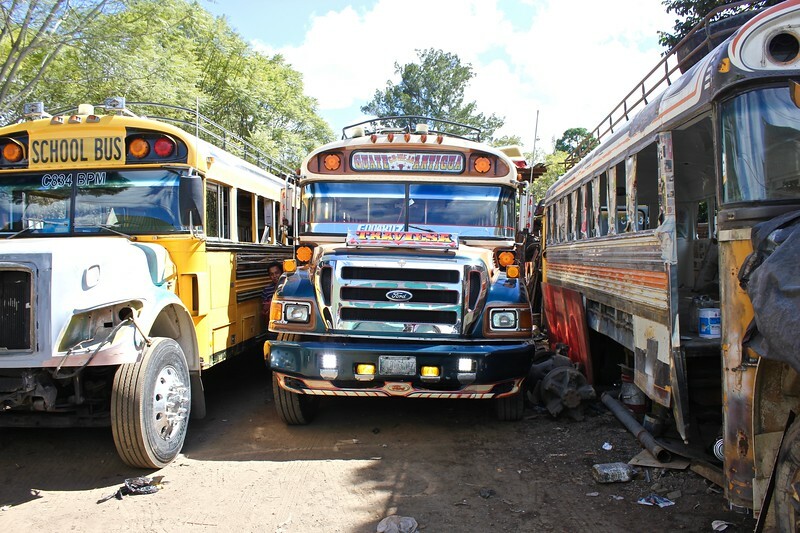 “Chicken buses” are like hot rod cars – they are chopped up, blinged out former school buses that are purchased from the U.S. and used as public buses throughout Guatemala. The thought of hopping on one if you don’t speak Spanish and don’t really know where you’re going can be a little intimidating. Luckily for me, though, both Christian and Ryan knew what to do, so I got to follow their lead and go for a spin. One of our stops was actually a chicken bus shop – there are 32 in Antigua – where we could see the buses in various stages of transformation. 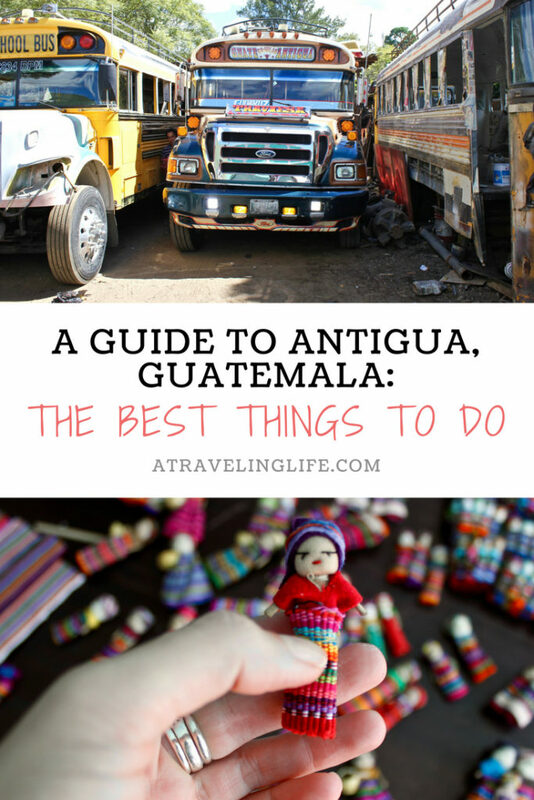 You’ll see “worry dolls” for sale throughout Guatemala. They are just an inch or two long and hand-sewn using bright strips of fabric – the eyes are mouths are dots of black thread. The dolls are made by indigenous women, and, according to legend, have the power to remove worries from sleeping children who put them under their pillows. 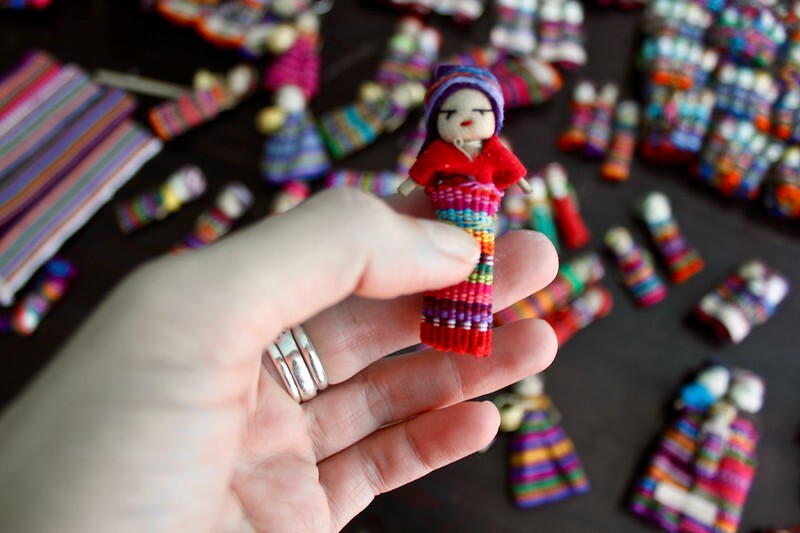 I was taught how to make my own worry doll from a local mother, who was assisted by her young daughter. Since I love crafts, this was a real treat – even though my long fingers made the delicate project a little challenging – and now I have a treasured souvenir. 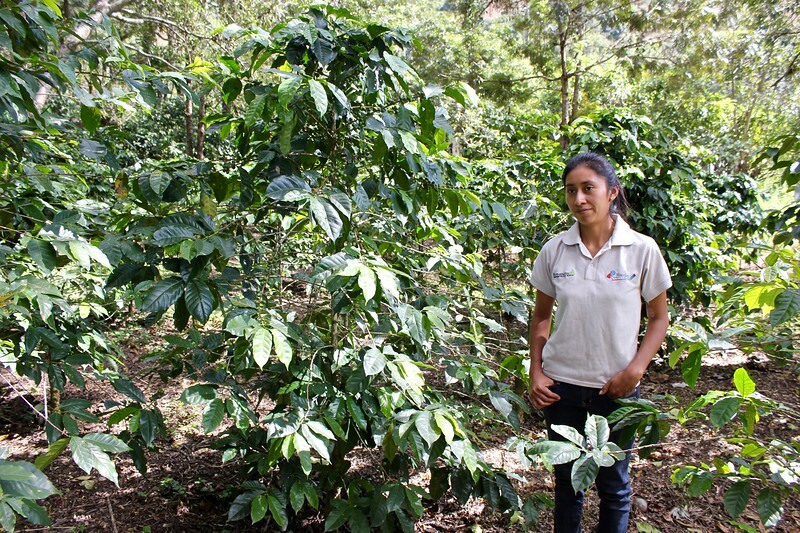 During my first visit to Guatemala, we visit a commercial coffee plantation. While the hacienda had beautiful views, we learned that the company was using young children to harvest the coffee beans, which bothered us, to say the least. This time, I had the opportunity to visit a small, family-owned coffee and chocolate operation in the village of San Lorenzo, which was a far superior experience. I was given a tour by Carmen, an impressive young woman, who runs the business with father. She first showed us the farm on the outskirts of town where they grow the coffee plants and harvest the beans – using organic farming methods – and then we walked to her house, where we got to meet her parents, husband and young son. Sitting right in her kitchen, we were able to watch her roast, grind and brew the coffee beans as well as process the cocoa beans for chocolate, and even help out a little bit along the way (I also learned a valuable lesson about not putting your hand on a hot stove!). The coffee and chocolate were both rich in flavor, and I bought samples of both that I’ve since been savoring at home. 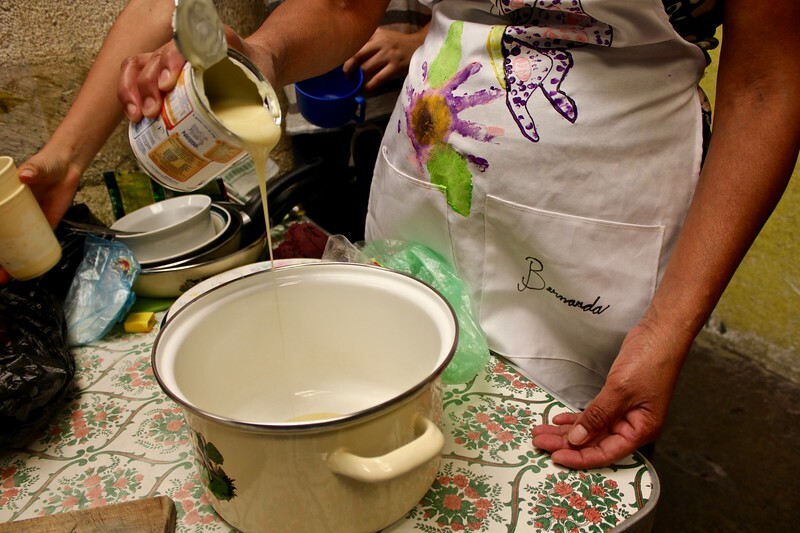 Cooking classes are a fun way to learn more about another culture – even better if you can take one at someone’s home. I had the special opportunity to spend the afternoon with Christian’s mother, Bernarda, and energetic younger siblings. She showed me how to make three batches of candy – cocadas, dulce de leche and tamarind balls. Not only was my sweet tooth satisfied, I had a really fun time with everyone in the process. 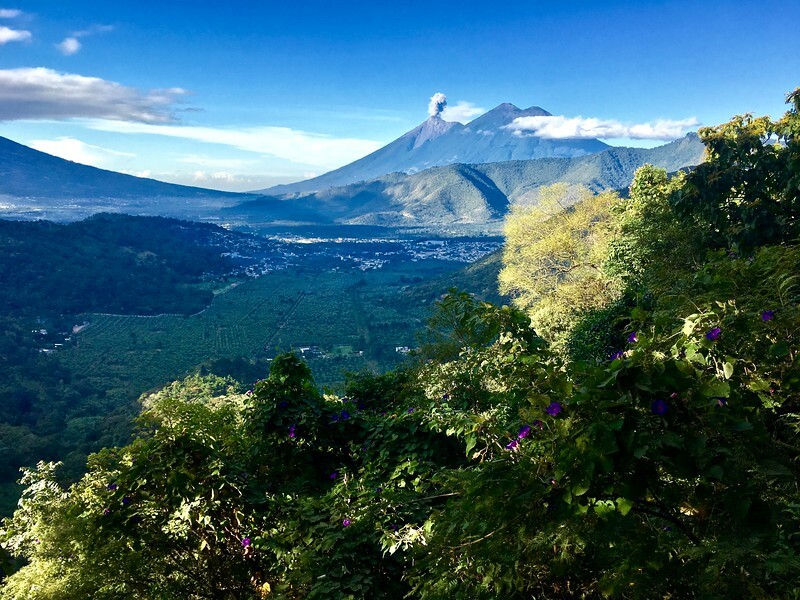 Pacaya –If you’re feeling adventurous, Pacaya – one of Guatemala’s 37 volcanoes – makes for a great day hike. It was actually erupting when I hiked it the first time – I have a photo of myself standing right in front of the red-hot lava flow, and I remember my sneakers slightly melting. Given the eruption, the landscape looked very different to me this time, and part of the trek down was spent walking through a still-smoldering lava field. Another recent change is that you need to have a licensed guide – ours had training in biology and did a great job of pointing out the various trees, flowers and insects that make their home on the volcano. Panajachal is a popular tourist town on Lake Atitlan, where you’ll find many restaurants, bars, shops, and activities like yoga. We paid a visit to a fascinating little ceramics cooperative, Ceramica Palopo Multicolor, that makes traditional Mayan pottery – and even made a little piece ourselves –and also traveled across the lake to the indigenous village of Santiago and went for an intense hike through the jungle. 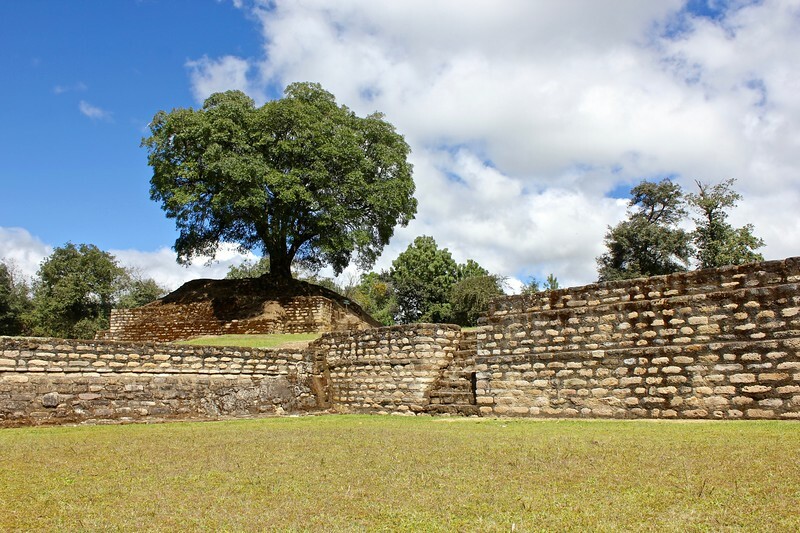 Iximché – This trip included my first visit to Iximché, a Mayan complex built by the Kaqchikel around 1470. An easy stop on the way from Antigua to Panajachal, it’s a very well-maintained site. However, there aren’t any signs, so I recommend doing some research before you go or paying a local guide to show you around. Even though I didn’t have much time to eat during this trip, I did do some drinking. Our first stop in the city was Café No Sé, which I recognized from my first trip as soon as I walked in the door. It’s a long, narrow space with a dark, gothic vibe but very friendly bartenders, and a good mix of expats and locals. It’s known for selling Illegal Mexcal, a small batch, artisanal mezcal brand that was originally produced just for the bar (I’m not a huge mexcal fan, but it’s worth a try here.) On the opposite end of the spectrum, aesthetically, is Sky Bar, a spacious rooftop patio that has the best views of Antigua. It’s the perfect place to gather with a group of friends and have a drink while watching the sunset. And if you’re looking for the best coffee in town, which you can enjoy along with all-day breakfast in a beautiful courtyard garden, head to Cafe Condesa. Antigua is a popular place to learn Spanish – there are dozens of language schools throughout the city. I was able to try out Cambio NDG’s program myself to see what it would be like to be a student there. I was assigned a very patient teacher, and during our short time together, he assessed my level (very low) and asked me about my interests, so he could tailor our conversation. He also gave me worksheets to reference at home. The lessons take place in Cambio NDG’s peaceful courtyard garden, and teachers and students across from each together at small tables, so it’s a personal, natural experience. 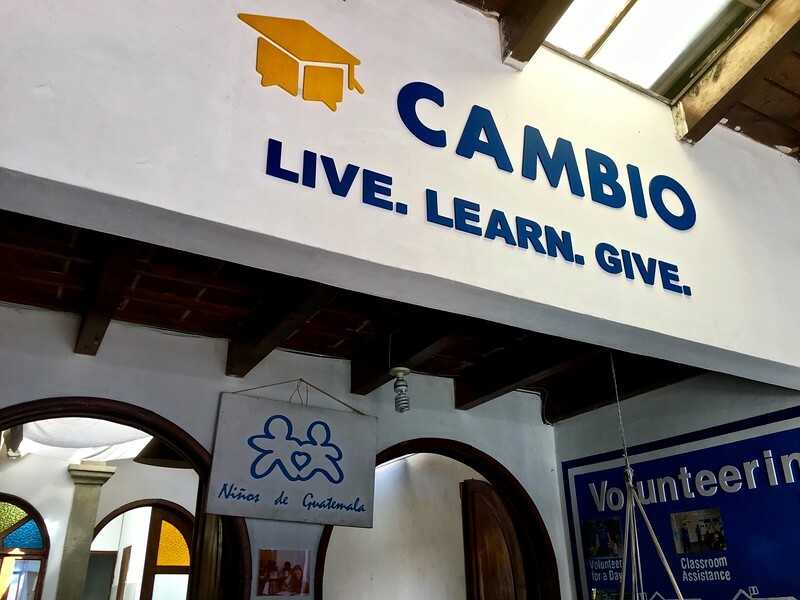 If you’re looking to volunteer in Guatemala, Cambio NDG has many volunteer opportunities – both short-term* and long-term – available for individuals of all ages and groups of all sizes, and staff will work with you to find the right fit. There also are internships available for students interested in entrepreneurship. * Note: I generally don’t support short-term volunteering with children, but I saw first-hand that NDG’s volunteer program is very structured and well managed. In the schools, it’s clear that the teachers (all locals) are in charge, and the volunteers are there to assist and take their direction from them. This is the view I woke up to at Earth Lodge! If you’re more on the adventurous side, check out Earth Lodge. You’ll need to hop a cab about 30 minutes up into the mountains, then walk down a steep incline, but once you get there, the experience is truly one of a kind. The rooms are a series of small wooden cabins hidden in the trees on the hillside – I was lucky enough to stay in a treehouse! There are shared bathrooms and showers, and a building that serves as the common area, which serves breakfast and dinner, and has limited wifi. If you need to relax and recharge, it’s the perfect place to escape reality for a while. If you’re looking for more of a luxury experience – and want your stay to do some good – then Good Hotel is where to go. Good Hotel, which has locations in Antigua and London, is owned by one of the co-founders of NDG, Marten Dresen, and gives $5 to NDG for every night booked on its website. You also can book homestays through Cambio NDG, if you want to experience living with a family. I definitely recommend booking an airport transfer in advance; the Guatemala City Airport arrivals area is a little chaotic, so it’s nice to have someone waiting for you when you land. Cambio NGD can arrange a van transfer for up to 10 people, and the drive only takes about 45 minutes as long as traffic cooperates. What do you think are the best things to do in Antigua? Thank you to Good Trip for hosting my stay in Antigua and Cambio NDG for arranging my activities. 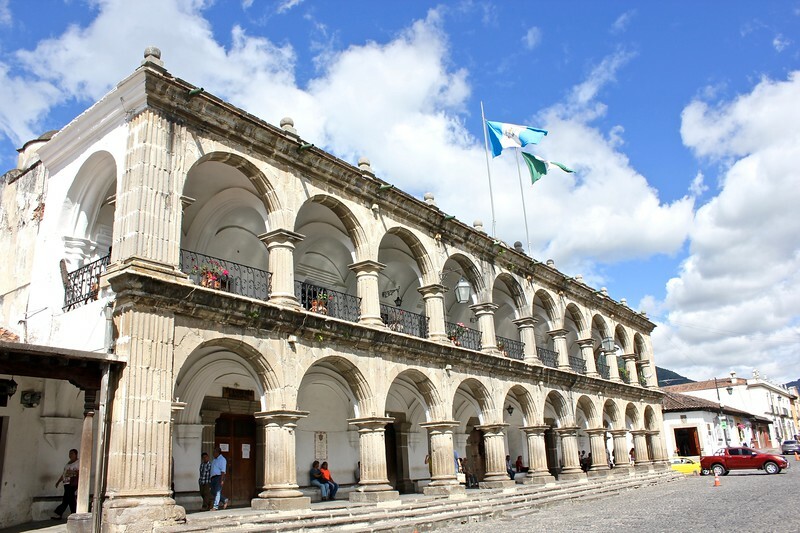 Guatemala is definitely worth a trip – I hope you get to make it and take a cooking class in a local home. I can’t believe it’s been exactly three years since my last visit to Antigua! Touring a coffee farm was by farm one of my favorite things to do there. Aaaaand visit the chocolate cafes! Thank so much for this great article. As part of the Ninos de Guatemala staff I love it my job and would love to invite everybody to get to know more about this amazing project. Thank you, Carlota! I’m so glad I got to learn more about NDG during my time in Antigua. It’s making a big difference in the lives of so many children and families.